An Uber Eats driver is wanted by Atlanta police for the killing of a customer during a delivery. Words were exchanged between the victim and the delivery driver as the victim walked back to his apartment. The driver fired several shots from his car, striking the victim multiple times. The driver, whose name is unknown, fled in a white Volkswagen. The victim was transported to Grady Memorial Hospital in critical condition, and later died from his injuries. No arrests have been made. The Atlanta Police Department told NPR that the investigation continues. The Fulton County Medical Examiner's Office identified the victim as Ryan Thornton, 30, of Atlanta, according to NBC's WXIA. Thornton's family told the local NBC affiliate that the victim had graduated with a degree in political science from Morehouse College in May, and recently started a new job. Uber Eats is a food delivery service provided by Uber. Using the Uber Eats app, customers can order food directly to their homes in 37 North American cities. Couriers can deliver orders by foot, bikes or cars, and customers can track couriers' locations the same way that they track the locations of Uber drivers. "We are shocked and saddened by this news," Uber spokesperson Andrew Hasbun told NPR. "We are working with the Atlanta Police Department, and our hearts go out to the families of those involved." The spokesperson added that Uber will say more when an arrest is made. 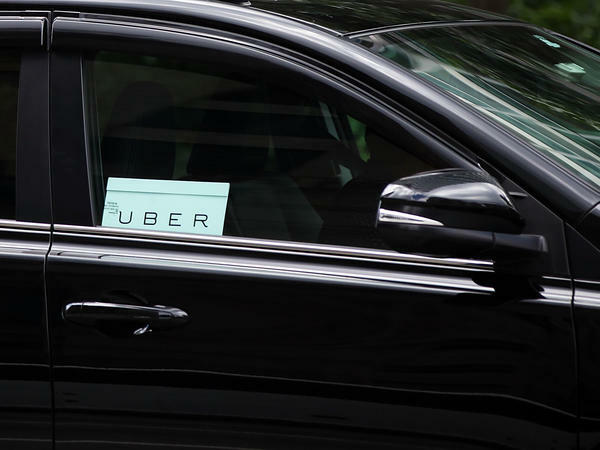 According to Uber, its driver prescreening includes a review of motor vehicle records and a search through criminal records at the county, state and federal levels. It's also against company policy for drivers to carry firearms of any kind while using Uber apps. It is unclear how Uber monitors this policy. In 2016, Uber driver Jason Dalton committed a series of seemingly random shootings in between passenger pickups in Kalamazoo, Mich. Dalton killed six people, none of whom were his passengers. At the time, Uber defended its background check process, saying that no screening would have flagged Dalton, who had no previous criminal record.